Well I haven't done anything much for a 20th anniversary tribute to the One True Mega Series. Like the Maskman post in response to Sentai Bandicoot I will connect certain arcs as "one episode". Without much ado, I'll present my top ten favorite episodes not because they were the "best written" but with how they appeal to my personal preferences. Remember there will be some extreme favoritism and dumb shipping so be very wary while reading this post. Kenta accidentally injures a child while in Mega Suit. It's sort of like the lesson that with great power comes great responsibility. It was a great way to introduce Gurail as the badass sinister villain who I thought should have stayed longer. I felt sorry for Kenta and how he wants to take responsibility. For me this is the best Kenta focus episode ever. If Megaranger improved Bioman's first three episodes I think this episode ended up giving a shortcut version of the Satan Megas arc in Bioman. This episode involves Shun who befriends and possibly fell for an android girl. Dr. Hinelar shows how cruel he can get in this episode by trying to finish off what he considers a "failed experiment". The android girl develops feelings on her own in contrast to what happened to the android girl in Bioman. I admit I didn't immediately warm up to Shun in the introductory arc but I really enjoyed what he did here. The plot has its nightmare fuel as it involves using genius students to build a weapon for Nezire. It almost feels like an upgrade to the episode of Kamen Rider Black where Gorgom was using talented people to work for Gorgom. In this one, Shun shows his strong mind as he foils the plot of the enemy. A Kouichirou-focused episode. So he's everyone's ideal man and Chisato has a crush on him (though they're NOT dating). This is a focus of Kouichirou and his younger brother. I could feel the character flaw that makes Kouichirou as Kouichirou. Sure he seems perfect on the surface but he's also someone who has to deal with his younger brother. This is a Chisato focus episode. Okay, everyone knows my extreme favoritism for her is that obvious. While I did like her focus episode in a singing contest or when her grandmother comes to town (which this one was probably done as a tribute to a similar episode in Jetman) but I thought this was her best. She was having a friendship with a little girl. To add, there seems to be some "chemistry" between her and Kenta in this episode even if neither has romantic feelings for each other. Though the "official pairing" tends to be Kouichirou x Chisato though it was more of a writer's ship than anything but this episode cracks me up. The episode sort of presents some Kenta x Chisato chemistry which isn't really official. I really felt sorry for Kenta and the Angler Fish's "younger brother" who ended up in the same fate as New Neural Brain in Bioman. I appreciate a lot what Chisato did for Kenta in this episode hence I started crack-shipping them in this episode. 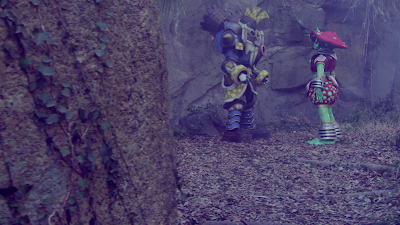 The Megarangers are faced with the very slim chances that they will live. What I like about this episode is how there's the struggle of life and death itself. They are going to die which means they will most likely give up on their dreams. Everyone in this episode developed into better characters as a result. This has to be one of the most badass villain introduction and wrap-up of this evil Super Sentai team to counter the Megarangers. Okay, I still think Gurail could have been kept around since he's a troll and the Nezirangers are also a group of trolls. This episode presents what I'd call Dr. Hinelar's newest desperate countermeasures. 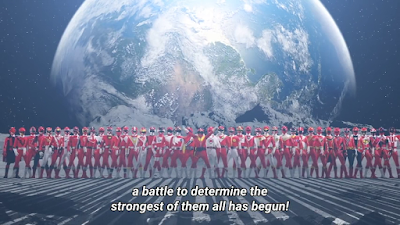 The Nezirangers are the opposite of the Megarangers. 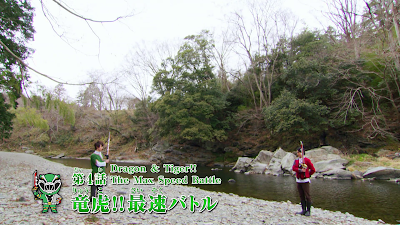 While the Megarangers appear to be cooperative the Nezirangers end up getting destroyed by their lack of teamwork. This arc also deepens a season long version of the conflict between Dr. Shinichirou Gou and Doctor Man in Bioman in some way. 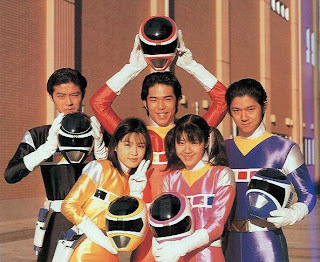 Next I might prepare some top 10 Zyuranger episodes, top 10 Hurricanger episodes and top 10 Gekiranger episodes before the year is over.